Divi 2.5 is here, and it’s packed with some really great new features that are going to improve your experience with the Divi Builder by leaps and bounds. One of the big focuses in 2.5 was to add new features that save you time and remove unnecessary tedium from the building process. Many of these features were joined together to create Divi’s new Right Click Controls. Whenever you right click on something within the builder, you will now be presented with quick access to commonly-used functions, as well as some entirely new tools such as: copying and pasting modules from one place to another, locking content from being edited by other users, and disabling items within the builder from appearing on the front end. While I’m on the topic of saving time, let me just say that you are going to absolutely love Divi’s new Live Preview feature! We have also introduced a brand new session-based revision system, including the ability to Undo & Redo, as well as travel backwards and forwards through time in order to revert or return to a desired history state. If you delete a section by mistake, just undo. If you change your mind, well you can redo too! If you want to scrap the alterations you have been working on for the past 10 minutes, just open up the new history panel and click back to your preferred state. Divi 2.5 also represents a new focus towards helping and understanding the needs of freelance WordPress developers and small web design agencies. These small businesses constitute a large part of the Divi user base, and we want to add more features that make it easier to build amazing websites for their clients. This prompted us to create the Divi Role Editor, a brand new tool that gives developers the ability to control what types of actions can be taken by their clients within the Divi Builder. Divi 2.5 introduces a new session-based revision system, giving you the ability to undo and redo any action you take inside the Divi Builder. You can also skip back and forth through time to any history state created during your current editing session. It addition to being able to Undo and Redo your changes using the new Undo and Redo buttons, Divi 2.5 also introduces hotkey support for these actions. Just like pretty much every other software program you have ever used, if you make a mistake just press Ctrl + Z to undo. If you are on a Mac, press Command + Z. Redo works too. Redo your Undo by pressing Ctrl + Y on a Windows PC, or Command + Shift + Z on your Mac. You can also close settings windows by pressing the Esc key, or save your changes by pressing Enter. This is going to save you a ton of time. In Divi 2.5, live previews are now available within builder while you are editing a module, row or section. Simply click the preview button and you can get a clear look at the edits you are making, instead of having to save your changes and preview them on the frontend. Live previews are something we are really excited to introduce in Divi 2.5. In previous versions of Divi, any changes made to your module, row or section settings had to first be saved before they could be previewed on the front-end of your website. This can turn into a big waste of time, especially when you are making many fine-tuned adjustments to a module’s Advanced Design Settings. In Divi 2.5, you will notice that all settings windows have a new live preview icon. Clicking this icon will give you an instant look at the item you are working on, complete with all of the changes you have made so far. The live preview feature also includes responsive design testing, allowing you to see exactly what your item will look like on desktop, tablet or smartphones resolutions. You can toggle back and forth between each of these, instead of having to mess around with the width of your browser window. Divi 2.5 introduces a whole slew of new controls within the builder, all of which are now available when right clicking on any item within the builder. These functions include: Copy, Paste, Undo, Redo, Lock, Disable, Preview, Collapse, Rename, and Save To Library. In Divi 2.5, whenever you right click within the builder, there are a whole host of new features that can be explored. In addition, commonly-used features have been added to the right click menu for easy access. Now Divi works just like any standard software application, and the controls you are used to seeing upon right click are now available. We have added some new unique features as well! Copy & Paste is now available in the Divi Builder! Modules, rows and sections can all be copied and then pasted anywhere on the page. This can be used instead of duplicating an item and dragging it into place, which is often quite difficult when you need to copy something from the top of a long page and place it at the bottom of the page. Dragging, dropping and scrolling at the same time can be a little tricky! Copy From One Page To Another! Copying and pasting is not limited to the page you are working on. In fact, you can now copy things from one page and then paste them onto an entirely different page. To accomplish such a task previously, you would have needed to save these items to the Divi Library, and then load them from the library on your new page. In cases where you only plan to copy and paste the item once, using the Divi Library is not ideal as it can lead to unnecessary clutter (also, right clicking to copy is a whole lot faster!). Undo & Redo, while available using the standard undo and redo buttons and hotkeys, is also available upon right click for your convenience. If you ever make a mistake, just right click and undo. Within Divi’s new right click controls is something entirely new called “Disable.” When a module, row or section is “disabled,” this item is removed from the page on the front end of your site, but remains available in the builder interface in disabled form. You will find items that are currently disabled within the builder have their opacity lowered for easy identification. There are many reasons why you might want to disable an item and prevent it from displaying, but still keep it active within the builder for later use. For example, if you have a timely or seasonal offer you want to toggle on and off during sale days, or if you simply want to save the item for later because you aren’t 100% sure you want to commit to putting it live yet. An additional new feature available only on right click is “Lock.” Locking items prevent them from being edited, moved or deleted until they are unlocked. Only Administrators can lock and unlock items. If an Administrator locks items within the builder, lesser user roles will not be able to modify those items. This can be quite useful when you are working with clients and you want to prevent them from touching certain items, while still allowing them to modify others. 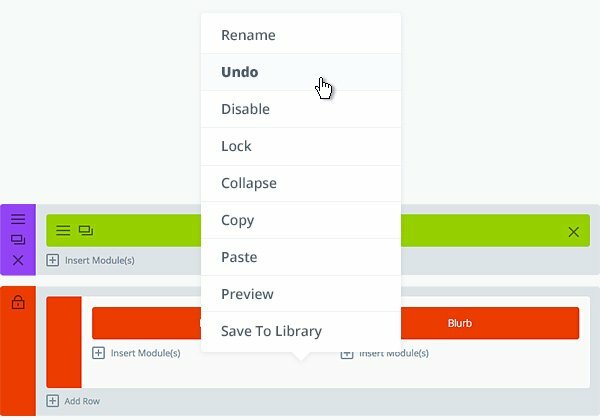 We have heard from many customers that re-naming items within the builder can be a bit tedious, especially since the Admin Label field is often at the bottom of the list of module settings. In Divi 2.5, renaming a module, row or section is now available on right click, so there is no need to dig into the settings panels to organize your page. Divi 2.5’s new preview functionality is also readily available on right click. If you want to take a look at any module, row or section instantly, just right click and select “Preview.” This is especially useful when dealing with large pages where locating a specific item on the front-end preview can be difficult. The Divi Builder is now more organizable than ever. Whenever you right click a row or section, the new “collapse” option can be selected to minimize that particular item. Sections and rows can be toggled open and closed within the UI to help keep large pages more organized. In addition, rows and section can now be re-named, and these names appear within the builder when a section or row has been collapsed. Saving items to the Divi Library is also available within Divi 2.5’s right click controls. You no longer need to edit an item within the builder to access the “Save To Library” button. Divi 2.5 introduces the Divi Role Editor, a new way to limit functionality within the Divi Builder for your clients. For each WordPress user role, you can enable/disable features within the builder, depending on what you want these roles to be able to do. This is something we haven’t seen before in other multi-purpose themes, and we think it’s going to become an invaluable tool for WordPress freelancers and small web design agencies. Have you ever been scared to hand off your completed Divi website to your client? Have you ever had a client adjust settings within the Divi Builder without first learning how to use them, resulting in all your hard work getting ruined? Well we are happy to say that those days are now behind us 🙂 Divi 2.5 introduces the Divi Role Editor, a new tool that can be used to limit/control every function within the Divi Builder for each of the WordPress user roles you are using (it works for custom user roles too). Assign your client a custom WordPress user role, and then open up the Divi Role Editor to control what the user is allowed to do. You will soon find that the Divi Role Editor gives you the tools you need to safely pass on a website to your client, allowing the client to edit pages within the limitations that their role provides. For example, you might create a role that allows your clients to edit modules, but not delete them. You might create a role that allows clients to edit only certain categories of settings, but keep the rest hidden (for example, allow users to edit General Settings, but not Advanced Design Settings or Custom CSS). You can go even further and limit individual setting types within General Settings, for example, allowing clients to edit text content within a module, but not allowing them to adjust the module’s layout configuration and design options. And those are just a few examples! At the highest level, the Divi Role Editor allows you to limit access to large groups of theme settings. For example, if you wanted to create a custom role for your client with normal Administrator privileges, but you want to limit privileges within Divi that would normally be available to Administrators, you can do so. You can disable access to the Divi Theme Options, Theme Customizer, Module Customizer and Divi Library. Where the Divi Role Editor really shines is when it’s used to limit privileges within the Divi Builder itself. Here you have fined-tuned control over everything your client is allowed to do. These privileges are ordered by the broadness of their implications. For example, at the broadest level you can do things like limit a user’s ability to edit, add or delete modules. If you have spent a lot of time creating the perfect Divi page layout, you might want to only allow your clients to edit modules, and disallow them from even adding new modules or accidentally deleting them. In fact, you might not want to allow them to use the Divi Builder at all if you are not confident that they will be able to use it effectively. If a user has the ability to add or edit modules, you can define very specific rules about what types of module settings they are allowed to change. For example, a good place to start might be to disable the Advanced Design Settings and Custom CSS Tabs. Beyond disabling entire settings tabs, however, you can also control the types of settings that are available in those tabs. For example, you might consider allowing your clients to edit only text content and colors within each module. These settings are very easy to understand and typically give clients everything they need to manage their own site, without giving them the ability to modify the structure or design of a page. Finally, you can also limit what types of modules are available for your client to add to their pages. It might be common to disable modules that are more complicated (such as the Portfolio modules), or modules that would be of no use to your clients (such as the Code module). Perhaps you only want your clients to be able to edit/add Text and Images to their pre-build pages, in which case you could disable access to everything except the Text and Image modules! Such a configuration, when combined with limiting Advanced Design Settings and Custom CSS within those modules, creates an incredibly streamlined Divi Builder experience! Now Divi can be as simple or as advanced as you want it to be. The big features mentioned above, while totally awesome, are just a small part of what we worked on in Divi 2.5. For the past 3 weeks, we have been 100% focused on additional bug fixes and improvements that make this version of the Divi more stable than ever. We have been hard at work, and the size of the Divi 2.5 changelog shows it! Trust me when I say that we listen to every single support ticket and feature request, and we plan to conquer every single one until Divi is absolutely perfect 🙂 There were a lot of improvements made to Divi 2.5, and a few smaller (but still notable) features were added as well. For example, I know a lot of people are going to love our improved logo and menu height adjustment options! Added new field to allow users to define admin label for slides. Added option to display products from selected categories into Shop Module. Added captions support for the Divi galleries. Added Enter and Escape buttons support in Page Builder modals. Added option to disable custom padding for columns on mobile. Added quicktags panel into the tinyMCE editor inside the Page Builder. Code Module: Fixed the issue with some content, stripped off from the module. Fullwidth Menu Module: Added advanced design settings. Blog Module: Added option to display comment count. Added Author support to Project Post Types. Customizer: Added logo height option into. Customizer: Added secondary menu link color option in fixed nav option in. Modules are sorted alphabetically by name now. Global Tabs Module: Fixed the issue with duplication of tabs in a Global module. Fixed various line height range issues in Page Builder. Fixed the issue with more tag inside modules. Fixed the conflict between Blog module and Shop module, when products are ordered by popularity. Fixed the issue with adding saved rows with 1 column into specialty sections. Fixed image zoom on page load when using blog grid. Fixed the issue with custom icons in Gallery/Portfolio modules. Testimonial Module: Changed images width and height range settings to 1-200. Fixed the issue with image in blurb module when wrong image path defined. Fixed the conflict with some plugins that use different MailChimp class. Fixed the Fullscreen mode of tinyMCE editor when enabled from the builder modal window. Social Media Follow Module: Fixed the issue with Skype Button link. Fixed the issue with infinite blog loop if a post contains Portfolio module. Optimized Page Builder files loading in WP-Admin. Fixed the issue with Settings icon, disappering from specialty section in some cases. Fixed the issue with preview in customizer, when different WordPress Address and Site Address are defined. Fixed the issue with unexpected behavior, when Enter button is pressed in the builder. Fixed the issue with image edit tooltip, not showing in Page Builder’s editor. Fixed the issue with duplication of predefined layouts, when a child theme is activated. Fixed the issue with overlay border color when custom overlay color is selected in Gallery, Portfolio, Filterable Portfolio and Shop modules. Fixed the issue with wrong total number of layouts displayed on Library page. Fixed some errors when Video or Video slider modules are added with no settings configured. Text Module: Fixed the issue with “Justified” text orientation. Fixed the issue with appearance of WooCommerce Related Products when Sidebar is enabled. Fixed the conflict between active menu color and color scheme options. Fixed the issue with Gallery post types appearance on category pages. Fixed the conflict between accent color option and button color in customizer preview. Fixed the issue with z-index of Side Navigation and Back to Top button to make sure it is always on top. Customizer: Added Site Identity section. Fixed unwanted space in main nav, if inline centered logo and hide logo are used together. Fixed the issue with logo transition on scroll ( made it more smooth ). Fixed the issue with disappearing adsense in footer widget. Win A Free Membership Or Upgrade! In celebration of Divi 2.5, we are giving away 10 Free Memberships and Account Upgrades to 10 lucky winners! Entering the raffle is completely free, so be sure to put in your tickets below. Divi 2.5 for free? It doesn’t get any better than that! We believe that Divi has become the ultimate platform for freelance web designers and small we design agencies, and Divi 2.5 is the most versatile an easy-to-use version of Divi yet. The new controls we have added make building websites faster than ever before, and the new Divi Role Editor will prove to be an invaluable tool for managing client relationships. Divi 2.5 is just the beginning, and we are looking forward to making Divi better and better. In fact, we have some really ambitious goals for Divi 3.0, and we can’t wait to start working on them! AMAZING!! Good excuse to leave work early, thanks nick!!! What impresses me is the focus on making Divi like a desktop application. And the fact that this update is all about the developer experience and not the appearance of the site. I might even start using it over coding. Agreed – it’s a whole new ballgame. I appreciate options and especially the hotkeys – I don’t know why but I always feel more comfortable with the keyboard. Maybe it has something to do with the fact that I’m primarily a writer. Agree. These improvements are right off my wish list. How did you know? Thank you. I love that so much of this update is focusing on the developer aspect of things. These changes are wonderful, and I can’t wait to see what they have in store next. Great work guys. I love the Divi 2.5 … what a great product you guys are building with the community. Looks interesting, will have to give it a try! Most of our friends use this Divi theme, it’s look awesome! I got DIVI but I have been afraid of installing it because of my Ecwid shopping cart. Is DIVI compatible with Ecwid? I would greatly appreciate your answer. I love Divi. It’s an easy and beautiful way of setting up great websites for myself and my client. I’d certainly enjoy the undo and collapse functions in 2.5! That sounds very exciting! Let me update one site right now! Excellent upgrade! I’ ll test it ASAP! Could this be one of the best WordPress weeks ever?? Is there any other news besides divi? What an amazing update! I’m curious if this is a seamless upgrade for sites built with the Divi 2.4 theme? Has anybody noticed problems after upgrading? We also suggest testing your child themes before updating, as there are things you might have customized that we can’t test for. If you experience any issues please open a support ticket so we can fix it ASAP 🙂 We usually try to do a maintenance release 24 hours after major updates like this. And I am way to impatient to wait for the maintenance release. Would save me soo much work if I could calm down a little. But someone has to jump in first I guess. Images inside “blurb” module stopped showing up. All looked fine from within the builder, but in real life the images didn’t show. I changed the relative paths to full urls for the images and they worked. Deleted cache and all that first, but no luck. Not sure if something else may be related to that issue. That was it so far anyway. Not bad, but I did a bunch of sites at once and so am fixing six sites at once. However, I love Divi and will likely never stop jumping on updates even though I try to make myself wait. Sorry to hear that Barry. Please create a support ticket and the team will take a look at it. No need Nathan. I have everything fixed up or nearly so. Small price to pay. I was in a worse place with the 2.4 upgrade. I am curious about the relative path issue, but there may be something else behind that as well. I haven’t upgraded to any of them since when it was relaunched my site totally borked. So more than a bit nervous. Anyone reassure me? If you’re running Divi 2.4 right now the upgrade should be much smoother than from 2.3 to 2.4. However, it is always a good idea to run an upgrade on a staging version of your site before running it on the live version. I had the same issues with the images disappearing in the Full Width Slider. My background image was in the “Section Module”, when I opened it up the image was still there but didn’t show on the site. I transferred the image to the Slide itself and it showed up without a problem. I’ve noticed that, too, on one of my client’s sites. After saving or updating the page, the screen goes white. If I refresh, usually I can get back to the editor, though. Sometimes it takes WordPress a little while to pick up the update notification. You can try clicking the “check again” button inside the Updates page in your WordPress Dashboard. Yayy… great additions.. awsome work guys!!! AWESOME…UNDO is SO GOOD!!!! Makes me want to start using again. Looks great. 🙂 One thing I have been looking for is an easy way to have multiple widgets in the header area. Will that be added soon? Hi guys I definitely 2nd this, often a client shows you a design that has a button or slogan or social icons or something in the header, and says I want that look. Divi is great for adding any deisgn below the menu, allowing the same flexibility above it would allow us to build any design the client wanted…that to me would make divi the a true developers dream!! Love Divi and these updates are amazing! I’d love to hear more about the DIVI plugin and when it will be available so I can add these features to an existing site. The Divi plugin is the next release. Last I heard was a few weeks from this release. While this is exciting, I thought that the Divi Builder Plugin was next on the list after 2.4??? I’m dying in anticipation of the DBP…when will you release it? Divi 2.5 and the Divi Builder Plugin have been in development at the same time. The updates you see above had to be completed before the builder could be released. Now the ET team can conduct beta testing on the builder and it will definitely be the next release. Looking forward to applying the upgrade. I’m going to upgrade my sites right now! If that quote is true you all obviously have put in a LOT of effort! It is just so amazing.. These new features look awesome, you guys/gals are doing awesome work. Loving all the new features, and they are coming fast!! Keep up the good work! I love the ability to control users’ ability to change pages! Wow, amazed by all the new features, great job! Fantastic Divi team! You always do a superb job! Any idea when it will be available for members? It’s available right now. You may need to refresh your updates page in WordPress. Wow, this keeps getting better every time I look. Excellent work!! Hello!…. News for the Divi Builder? Divi 2.5 and the Divi Builder Plugin have been developed in tandem. This update is also the final update to the builder. The ET team can now run beta testing on it. It will be the next release in the coming weeks. I would be very interested in testing the Divi Builder Plugin. How would I go about getting on the beta test program? All these new features will be very useful and advance the design and development process in a more efficient manner, Kudos! Always giving more, i love Divi and Elegant Themes. Wow, installed and running on a few websites here! No problem with compatibility, just install and run! The best part for me is the possibility to block and hide some parts of layout, and the roles – this is fantastic to work with my clients,very very nice!!!! This is kind of unbelieveble (in a positive sense)! After releasing 2.4 (which was an incredible upgrade by any standard) you asked us what we wanted more, and now, not even three months later, you seem to have included most of the things on peoples wish list AND at the same time you threw in support for a couple of new services in Bloom. Seriously, you guys are completely awsome! The time has come to become part of the Elegant Themes family! Super excited!!! It would be great to have more robust options in our call to action features, like more design choices in the buttons, forms like stronger brighter colors and effects. ect. I can see how a lot of this is working towards Extra; the permission based modules are a huge deal with multiple authors. Utter kudos to the ET team! Great work! Awesome new features. You guys are a constant inspiration to me. Thanks so much! DIVI forever! What a great upgrade! You did really great job! Thanks for so good theme! We love Divi. I love working with Divi. I just installed v2.5 and cant’ wait to check out all the new toys! Thanks guys. Love all the changes the team at ET is always doing. I tell everyone I know to use Divi by ET. I have already started to play around with the preview feature and disable feature. It would be awesome if I could disable a section but still see it when I right click and hit preview. This will allow me to still work on it without having that section go live. Thanks again for such an amazing group of products. Another quite amazing update with so many functions added that will make life even easier. The live preview sounds an exciting update and certainly potentially a time saver. The user roles is a great addition although I would like to see the option to hide the themes in the dashboard altogether (i know this can be done via 3rd party plugins). Again excellent work, the best just got better. This update includes some awesome features, thanks Nick! I can’t wait to see the user roles editor in action. I’ll test it tonight! Looks realy great! Just upgrade 1 of my sites, but now pictures are missing :((. Looking forward to using all of the changes from Divi 2.5. I’m working on moving my theme from Lucid to Divi and in the test site it’s working out great. A lot of these changes (like the Role Editor) will help me increase my ability to help others create beautiful websites. Looking forward to working with this update. Thank you kindly! You could REALLY make our day with definitive news (or even the release) of Extra! 😀 No pressure, just hope. This looks awesome. Been looking for this theme for a while now and tried so many others that show promise but always seem to be lacking something important or too buggy to use in the real world. Excellent work. please please please add a feature to keep the existing footer when updating. I am trying to download version 2.5 from the site, but it shows up to version 2.4 only. I love all the new features and can’t wait to try them out. You guys have done a great job adding everything I could think of and much more. O my gosh, you guys are amazing. Looks awesome. The logo resizer sounds great! This makes me want to re-evalutate website builds for clients to just exclusively use Divi. Fantastic. Some really useful new features. Fantastic Update focusing on the developer productivity! Thank you very much! One step closer to Extra Theme!! Wonderfull !! Thanks you a lot for this theme awesome !! Woah! Your site looks amazing! I’ve been working with Divi for a few days now and it’s hard to see how your theme is actually Divi! Great job! I can’t wait to get back to completing my two sites after updating them with the new updates! My favourite features are the Undo+Redo, right-click functions and the speedy rename function. Thank you so much Elegant Themes! Divi is getting better and better, I want to build a business using Divi! If you currently have Divi 2.4 installed – can you upgrade without breaking things? Yes. But as Nick said above, if you’re running a child theme then we would suggest you test it in staging before updating your live site. But… how I can change what widjet\part of site to show first in mobile version? Divi es el mejor tema que he podido usar, con la 2.4 pude ver mejoras sustanciales. This is even better than I had hoped for! Great job once again, folks. I’m proud to be a lifetime member here and love your products. Good work guys! Keep on going! Fantastic !!! Thanks for all of your creative thought and your hard work. Great giveaway! I love the copy and paste across pages feature! Great work as usual, can’t wait for the standalone plugin, though. Just got back from my holidays and switching my site over to Divi tomorrow! By the way Nick, where can we make some suggestions for the coming Magazine theme? Shall we wait for the release? Still waiting on 2 major things. A Top Widget or Common header image or slider that can be added to all pages automatically. I have a client with 97 pages and would love to throw a common slider in the top of all pages instantly. A way we can add semi transparent background to the Title and Body text of the sliders so people can read what we put over top of an image with light and dark areas. It works nice for buttons but not Title and Text. Otherwise, this is great! I’ve done over 50 sites with Divi already. Seriously awesome. These new features are going to make our lives even easier. Copy paste is genius. Always dragging things around and that will really save a lot of time. I am a little concerned that the history could add a lot of extra weight to the site, Will we need to regularly delete history? and is there a way to do that if needed? This is really exciting, thank you for explaining all the 2.5 updates! I just dove into Divi for the first time last week (I purchased Divi a few months ago in anticipation for 2.4). One of my hesitations about using Divi before 2.4 was all the Divi-specific shortcode left behind if you ever chose to switch from to another theme. (I’m not planning to – I’m just trying to learn the ins-and-outs and limitations of Divi before I begin using it on client sites). I had read somewhere that the shortcode issue would be improved upon with the Divi 2.4 release, but was disappointed when I discovered that’s not the case, and that shortcode is indeed still left behind. I suppose my question is… is this something that you are still planning to work on? I realize this question has probably been asked and answered elsewhere, so I apologize in advance if that’s the case and thank you for your patience as I get familiar with things. Awesome! So excited. Thanks Dustin! I think that problem will be “fixed” with the Divi Builder Plugin. It won’t get rid of the shortcodes, but you will be able to take the builder along to any other theme you might want to use. Love the new update! Best decision I’ve made to switch to Divi theme! Looking forward to testing this out on the new site I just started. Wow, amazing changes, guys! What a thrilling new update…I can’t wait to try it out! Hey…Are there any known issues to updating sites built on previous versions? Can I safely just install the new version with no problem? You guys are making awesome updates! Totally Rad! I agree! Can’t wait to get my hands on it and make awesome sites! Just wow ! Divi is now an app ! Wanna built a gorgeous website ? There’s an app for that ! All these amazing developer options and still no customizable footer…? Yes, I agree with the need for a customisable footer especially concerning the credits. When will it happen! Stellar updates! Congrats & Keep them coming! This looks absolutely amazing. Great job! Perfect timing. I am starting a big project for a new clothing company. I am so excited to try out these new features. Great job Nick and ET team…!!! A really great list of new features. The undo/redo feature along with the preview function will definitely help when designing pages! Looks good… Will use on my next site build and see how it goes. Brilliant, fantastic, amazing and great update… God bless everyone involved on this wonderfull theme! Absolutely love the new role editor. And the undo/redo buttons. Thank you! Wow! 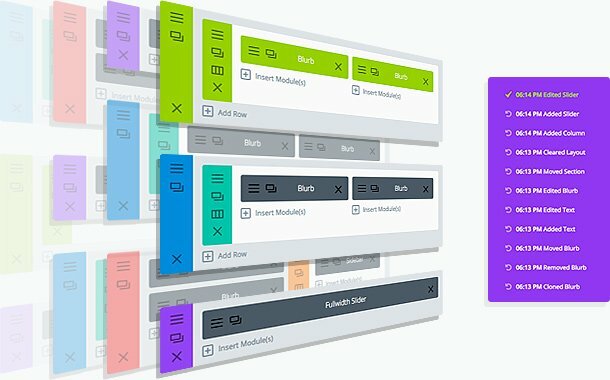 I just bought Divi 2.4 last week to start learning how to use it for building sites on WordPress (DreamWeaver girl, here), and almost all of these features are things I was thinking would be nice to have, especially the in-builder preview and the multiple undos… much needed as I’m learning! Thanks for all the great work! Simply live every explained / added option or functionality. Love the role editor and locking options. This way we can optimize the pages for different devices. This is amazing divi team. Well done guys. The only thing I would like to see is a landscape mode in the previews as well, it would make the sites I use for previews worthless to me. So excited for the changes! Wonderful news! I will try Divi. Nice changes. I’m excited. This is quickly becoming my favorite WordPress theme. Great features as always. Hands down the best theme ive worked with. Hi Nick & The Team! Apart from that, thank you once again for making my day or I have to say entire week for that matter. Undo/redo and all the right-click items are great! Thanks! Incredible theme I’ve ever seen. Long live the “Divi”. Wish you all the best to Divi team! So excited about this update – some great features that I secretly wished for. I guess you’ve met my genie! Thank you for this amazing release! Would love to see ET focus on making predefined layouts out of the past themes you have built for import into Divi. As a lifetime member, having the ability to import one of your other themes into Divi would be worth paying extra for per template. I have tried on my own to take a .PSD from one of your other templates and work it into Divi without much success. Awesome. All features I´ve really been waiting for, especially the copy and paste and the menu options. I´m still using divi 2.3x because I´ve been afraid to update, but now I´ll finally do it. Can’t wait to dive in. Great work again, Nick! Only thing missing (on my part) is the ability to change the footer text inside Divi itself, without having to use a childtheme. After update post have two images: miniature and post image. I want to see only post image. And post list by category images are hidden. Help me! great stuff. i can see where all that hard work went! The most valuable things for me in the update are “Disable content” and “Role editor”, of course. First thing is really useful during seasonal and other special offers. Another reason to smile. thanks to Elegant themes team again for bringing up such a Theme for WordPress community. I hope future updates will be more thrilling. I want to know if this is good for direct upgrade over Divi 2.4 ? or as like earlier 2.0 to 2.4 have some issues. I guess it is not there now. Wow guys! Great stuff. Looking forward to using 2.5. Thanks! That is really awesome! Thanks a lot! Very nice! Especially the roles. Good job, ET Team! By the way, regarding to the Edit History, is it really not going to hurt the site`s performance? Is it also possible to delete the history? Or it is being deleted by itself? Plus one thing related to Divi Builder. Suppose I have saved e.g. Blurb Module as “Global” Module. Then, in my page there is “Standard” Blurb module. Can you add a function to transform the “Standard” module into “Global” module without need to recreate it? It`s more “nice-to-have” function, but could improve Divi Page Builder itself a bit further. You realized what you are doing to my hourly effective rate? RAISING IT… the faster I can develop the more I’m making…Thank YOU!!!! The DIVI theme is still a SEO nightmare. There is still a second H1 tag on every blog page. You use H1 to format the word “Comments”. Shame on ET! There is still no H1 tag on categories, tags and the blog page. Show me where is the H1 tag on the category page or the tag page! And there is also no H1 on the blog homepage. Try it yourself. I have posted that in the support forums. Not only one time. I think they just dont care about SEO. hi guys, thanks for bringing tears to my eyes!! According to this Webdesign Tutsplus, you can have two h1 tags to divide 2 major content sessions on a page. I cannot attach the link here, so Google “the-truth-about-multiple-h1-tags-in-the-html5-era” if you need details. Not quite related but using divi 2.4 I was able to build a fully functional simple website for my friend in 45 minutes. He asked me how I did it so fast and I told him it was because of this tool called Divi theme for wordpress. The best feature for me is the ability to list woo commerce products by categories. Other additions and bug fixes are super cool as well. Copy From One Page To Another! Finally!!! YEAH!!! Great job, Nick and team! I have no words, Elegant Themes is just amazing, thanks for your efforts! I think this looks very promising. Can’t wait to take it for a spin. This one is a great one! WOW! What was already good was wonderful! It really is a job very well done by the entire ET team. Congratulations to all of you! Congrats on the 2.5!! Really Divi Role Editor is a Headache and Heartache saver for me, because some of my client constantly break their own site & post by making unnecessary edit to critical structure of the pages / posts without telling me and then complain their web is broken / pages look awful etc. I don’t mean to take away anything from this accomplishment. I would like to know, though, whether you added support for custom types. Did you? Doesn’t look like it. You can view the full changelog to see what was and was not included in this version. Any time frame on GetResponse integration? Just Did the upgrade! thanks guys. What would be pure awesomeness is having the editor and live preview side by side, is it possible? What! Christmas in September? Yeeeees we have the best gift!!!! Super excited about this update! Can’t tell you how many times I’ve accidentally deleted something — so undo is highly appreciated! Also love the preview (not perfect, but better than nothing). The re-name and collapse of rows, was good enough for me! But then I saw the “Preview” before saving the changes, AWESOME!!!! When will you be adding the ability to wrap a section in a shortcode in order to show / hide that section inside a membership system? Nice one. An excellent week! Bravo guys and gals. Now let the fun start with all these amazing features! Hi, Is it possible to have a header for vertical and horizontal navigation? At the moment i can choose only 1. But i want both.. I have been searching so much, but i could’t find it. thank you so much for this update. Divi just changes everything. We were just wondering why you din´t implement MOBILE NAVIGATION MENU and alternate LANDING.PAGE or START-PAGE without third party plugins with this update – which would be a MAJOR improvement to mobile designs with DIVI. Many customers want a different MENU / NAVIGATION and a seperate LANDING PAGE when users come to the site by a mobile device. But thanks anyway. It increases our work output by far. I agree with Steve. I really need an alternative Mobile Navigation Menue. Please implement. DIVI is the best Theme ever!!!! Once again my Loved Website builder proved its versatility. Thanks Nick for the great upgrade, for the future try to concentrate on the percentage base blocs and some nice design elements. very cool – especially the limitation options for editing! Divi is now much easier to use ! Good work guys ! Awesome changes, especially the live preview function and the module naming as well as many others. And, you have listened to my request, as I had suggested the independent logo and menu height adjustment options in the suggestion forum! Very happy! Looks awesome. Can’t wait to try this out. Undo is the best feature for me. Wow. I just started using Divi and am still producing my first site. Seems like all the things I didn’t care for are resolved in this update! Ready to test it out! Live previews and Copy & Paste modules are at the top of the list. Also I am sure roles will be huge once I publish. I am very excited at all the new upgrades and fixes. You have gone above and beyond with the Divi 2.5 platform. I have a few sites on the presses now and am glad that I will be able to upgrade before they are published. This is excellent. I’m looking forward to using most of these features. Great work! BUT What about Extra? Is it coming soon??? Yet one fairly large (in my mind) went completely unaddressed. It’s that the Theme Accent Color under Layout Settings, overrides the more specific Button Settings’ text color. Super annoying, have to override it with custom CSS, even though it would appear it’s obviously not meant to work this way. Just giving it some exposure here, because I was told devs were aware. Yet it went unfixed in this big release. Forgot to add – the ‘disable’ feature alone worth a goldmine. Just clicked on the 2.5 update for this and several other sites. In every case, I have now lost the black bar across the top of the screen that allows me to go back and forth between Edit Page and View Page. Help!! If that doesn’t work, please create a ticket and the team will take a look at it. If you are using a caching plugin be sure to clear the cache. If you are still having trouble, please open a ticket in the forum so that we can assist you. Thanks! Live preview…Yessss! Editor roles, thank god!! I just update a local test site made with DIVI 2.4, with the new version 2.5 it’s look good on the preview but not on the browser (Mozilla), i am using a child theme. Where can i send my screens shots to you. Hi Philipe, submit a ticket. Our team is going through them all right now to try and address any launch issues as soon as possible. Wonderful new features! I am currently editing a very long page with many elements and the new ability to rename sections on right click will make it much easier! But right off the bat the ‘website content width’ slider does not deliver the correct width, an unresolved problem for a while now with Divi. I set to 1200px, but on screen it is 1355 px. This is very frustrating when trying to design exact sized sliders. This also seems to effect the mobile view as the site will not fill out the screen, but there will always be a slither of the background at the edge. I was really hoping these issues would be resolved in this update. Wonderful upgrade! Although Divi is far better than most themes, there have been several things that would make it better for users like myself with multiple installs, including client sites. But you have blown away all of those issues and added a tone of great features to make the sites we build ‘client proof’. Thanks for your hard work and for not losing your focus. This is going to be a quantum leap for Elegant Themes clients (and fans). So many great features I’ve been wishing for–plus several I hadn’t even considered! Thanks for all the thought and effort you guys put into this release. It will definitely keep me a big fan as a freelance developer! Looking forward to playing with this today since I’m in the middle of building a site. One issue that was driving me nuts last night was a lot of the time saving issues you’ve addressed in 2.5. Great updates – I love this theme and it gets better and better … thank you! Save history?!? Copy/paste between pages?!? I could hug you right now!!!!!!!! Divi now have better page builder than Visual Composer. I. Am. Blown. Away! Again! Nick & Team, hats off to you and thanks for your continuous enthusiasm and for listening to us! I though about trying Divi for a while now. It´s great to have a chance to win it now. Would it be possible to have an option of the featured image being scaled to the right size instead of cropped when the image is too big? This seems like an amazing theme I hope I win the membership! 1. Divi 2.4 (done) — even Divi 2.5! 2. Divi Builder Plugin (coming soon) — now you confirm that it is coming. 3. Extra — please please tell us when? A couple of months? Or perhaps as a Christmas gift? Later? What an awesome upgrade from 2.4 – my clients are going to love this! I used Divi first versión, Divi 2.0… and.. that’s awesome. All these features are great. Thank you! Thanks guys for making these improvements! I’ve had these phantom right clicks my hand naturally does with other apps in hopes to open a contextual menu and now Divi makes use of my right hand endless right clicking. I hated to leave my page to do a preview for a tiny change. This new tool makes tweaking fun again! Undo and redo! I always paused before I saved changes to make sure this is what I wanted. I hated having to go back an earlier version of my edit only to lose all my work. Now I can undo & redo to my hearts content! The primary menu logo sizing was killing my time. I’ve spent weeks trying to fix it. I played with it a bit and I’m much happier with my primary menu look and feel. I have only one request. Revisit the old videos/text documentation and update them. Its a bit confusing to see old screenshots and compare them to the new look. It harder for the new/old guy to get up to speed. The ePanel videos/docs were the most confusing. You guys are brilliant. Thank you for you excellent work. You have made life so much easier for so many of us!! Thanks for a wonderful update. I do have one very simple request that would make life so much easier. Could you please lock the text module tool bar so that it’s always easily accessible? I have been using the default editor for longer posts instead of the Divi Builder because it’s such a hassle to keep having to scroll all the way up to do simple edits. Just keeps getting better and better 🙂 Right on! Since I know about Divi, I loved it because it is simple to use and very powerful. I use it in a business where we offer web sites to our clients. You guys are really nailing it with so many admin admin and development features. I’m exited to have purchased a lifetime membership just over a week ago. You just keep confirming that it was the best decision I had made in a long time as far as time, development and future possibilities go. Thanks again. I have not purchased DIVI, but one very important feature that you have, that made switching from RapidWeaver to WordPress a task for me was the time involved of saving everything. This is something I have not seen with any WordPress theme. When I started using WP that saving and waiting only to find out it was not what I wanted drove me nuts. That is a brilliant feature on your part. i receive your newsletter and I keep it coming because you offer good advice and information. I am not a fan of membership themes and this is why I have never purchased. On another note, I like the fact that you sell direct. I think if other developers knew how to market as well as you do, they would follow. Keep up the good work and I hope this did not stray off topic, but I believe in giving credit where it is deserved and in this theme business, it is not an everyday occurrence. There is not… a single thing.. I could think of (and believe me, I think a lot) that you didn’t implement on this update. You were far far ahead of what I was asking that i’m just shocked. As a website developer I think this turned now into the perfect Framework for wordpress, there is simply no other thing in the market with this level of customization, period. I’m more than happy, i’m thrilled, exctatic, joyful, i wanna build everything with this version now!!!! This changes everything! A new paradigm in WordPress design. Wow! OK excellent Job. I’m looking forward to using these great features. I wish that DIVI is Multilingual theme without any additional plugin. looking forward to see it next update. Preview … Brilliant… that alone is going to save me loads of time. I really love divi juste wow … but now it’s juste wow wow love your new update amazing tanks for that. I can’t wait the next update. juste a question : i love the nexus theme the slider for multi post is amazin i’d like to have that to DIVI it’is possible tu have that with manny option … thanks a lot. This is amazing Nick, some great features added here, particular the undo and lock sections functions. I think the copy and paste from one page to another will also be brilliant particularly if you can copy a whole section with all its modules … cudos guys. Is there any chance that Divi will come out with a Hide/Show option on Sections, Rows, or Mudules for different media sizes? Looks amazing, can’t wait to dive into it later today! This will make my life much easier! Wonderful update, bringing together everything that everyone has been asking for (and more). You guys have done it again!!!! This is absolutely amazing technology that makes building websites so EASY!!!!! Wow! Awesome features – really looking forward to using Divi on some future projects. Wow! This release looks AWESOME!!! Just in time for me to build a brand new site with it – you guys are revolutionizing WordPress site design! Amazing! My site appears to be stuck in maintenance when i clicked update! Oh noooooo. It happens sometimes when connection problems occur during the update. Annoying indeed, but easy to fix! Congrats on the brilliant work… This comments section is a testament to the impact you are having in your field! Great update! Lets get some more social properties added into the theme. There are currently only four. Sorry, only three social properties. The rss feed is the fourth. Keep it awesome, go go go Divi! Just amazing! Thank you, thank you!! This looks like an awesome update! Stunning work, and still great support. Sounds awesome! You keep improving an already great system. I need to carve out some time to actually learn all this fancy stuff! The Elegant Team is always on top! Keep innovating! This is very exciting! Divi is quickly becoming my go-to theme! You guys have some awesome creativity going on!!! Do you have any plans on adding this? Great work and progress, congratulations to all at elegant. In regards to protecting areas from clients does Divi also hide these elements. I have found in the past if clients can see something then they want to click it. If it’s hidden then they are OK. Thanks for the great work! I love it, it’s an even better design platform now. Way to go! More great features! You are doing a great job convincing me to change themes! I have been a fan of Divi since I was introduced to it. You amaze each time. Thanks for all the work you put into this new update. I am so excited to try these out and get things moving that much faster. The preview feature alone will save so much time. Great job Nick! Looking forward to digging in a playing around with the new features! Excellent. All of the usability enhancements are really appreciated. Nick, you guys gotta implement post slider feature in your next update… I think there is everything built into divi but this. It’s definitely on our list of things to do! Great job on Divi 2.5, any more screen shot updates on how Extra is coming on? Nick will this be in a future version of DIVI or will it be in extra? What exactly is extra? Is it a theme you guys are working on? Thanks again! I really love my lifetime membership at Elegant Themes. Updated all my 7 sites with Divi 2.5 . Thanks for all the cool work Elegant themes ! Excellent work and big thanks to Nick and the gang for this epic update. I’m very impressed at how you continue to listen to user feedback and integrate these features into the theme. You continue to provide the best value at the best price! I’m doubly excited about the update, since I get to talk about the new features in my upcoming Udemy course on Divi! So glad to hear you’ve added the Preview feature. What a time saver -thank you! This is just brilliant guys! I wonder if in the next version you might consider giving more flexibility to the contact form – allowing the addition of more inputs than just the name, email and message – perhaps allowing dropdowns, radio buttons etc? That would be a fantastic help and remove the need to go to external plugins. Well done all! It reaffirms that this is the best system ever! Have I told you lately that I love you (and Divi)? The recent updates for this theme have been ridiculously good. Giddy over the divi builder plugin and the new theme. Fantastic! More reasons to use Divi as my Go-To theme! Wow this is really exciting. Can’t wait to use Divi 2.5 in a new project. Now all the Divi theme tutorials and resources are available at one place. Currently we have over 450 tutorials in the directory and we’ll add more each day. Hope you guys find this website helpful. * I’ve created a new category call Divi 2.5 in http://divi.tutsdirectory.com/ so that Divi users can easily find Tutorials related to this new Divi version. I won’t delete Divi 2.4 category as there are many people still using it, including my self. Great and awasome. I have been waiting for Divi’s Features for my Client Costumization. Good Joob. if uninstalled, will the plugin leave behind shortcodes? OMG, I cant believe a total NOOB like me in web design can get several clients for the first week. Thanks for DIVI Builder!! This is absolutely fantastic – you guys are thinking of features I have not even thought of, and it makes life sooooo much easier! Definitely the best web building tool ever – by far! This is by far the best ‘enhancement’ upgrade to Divi ever, the Undo feature is just what we need and it will be a life saver. The preview, especially for the Slider module will save tons of time too. Really glad you guys are still upgrading Divi, hope there will be more themes like Divi from Elegant Themes in the future! Awesome and great as ever! Divi is no longer a Swiss Army knife but has graduated to a Double Edged Sword and I see the edges being sharpen by adding an infinite scrolling background slider, background slider overly and in-built speed booster plugin-maybe outta space suggestion! I loved the latest update and the role editor integration is massive. Also, hope to work faster with the right click option that made me gave an “ouch” sigh whenever I mistaken delete a section or role…not anymore! Wow! Please,add background slider and overlay in Divi3.0. Thanks a million, hope to win a life time membership..just hope…lol! I love the Divi – it can do so much and it saves me so much time with my websites! And the new features – heck yeah! I’m mean – to geek out a little – who didn’t get excited about the new logo features?! Love the new Undo/Redo feature. Makes it much easier to play around with designs with module placement, etc. Glad to see a bit more flexibility with the header, but could still use more placement options. Top request: Ability to enlarge the Text Module! I was about to upgrade a site from Divi 2.3 and it looks like a lot more fun with all these new features. Thanks! Another great update with time saving improvements…. BUT we’re all still waiting for customizable footer credits without editing files or creating a child’s theme. Or paying for a plugin……. Rich you can use the Module Customizer to increase the default text side of all Text Modules. Is that what you mean? OMG! The new Divi is awesome! Finally able to update the header/logo better. What a relief! And, the copy/paste is perfect. It will even copy from one browser tab to another! That’s gonna save a ton of time. And the undo…perfect. I do agree with Adam about the footer. But, it’s minor at this point because we can remove that section with CSS and then make a global library item for a new footer section and make it more customized. yay! first thing I did was lock pages from the exploring fingers of editors. And the preview and copy features will save so much time. Great job! These are excellent changes. This system truly just keeps getting better. Thank you! The live preview feature is such a welcome addition that will save me a huge amount of time 🙂 Another great job by ET …what next?! I am genuinely excited about this! Awesome, can’t wait to divi in! Updates to the mega-menu to add in images etc in the future would also be great. Thank you Nick! I’m feel extremely good to see that you are considering all our needs and requirements for such a large scale project like DIVI. Looking forward to test the new features out. Simplemente: aplausos!! You are the best team I ever seen! Good Work and thank you for your dedication in facilitating our complicated task. Excellent Work. Divi 2.5 going to rule the WordPress World. 🙂 All the Best Team. you guys make it so easy for us. Thank you. by the way, a little design renewal of the epanel would add a nice divi touch that would be appreciated ! wonderful…I love all the new features…love your work! One thing I was hopping to be fixed is the annoying gap that is automatically done once I edit a module, it goes back to top of the page, and then I need to look over all the page again to do something more in that module or a near one. I think it’s unnecessary, and seems to be a pretty simple fix to do. Please, I want to stay in the same place I was before editing! I was just wondering about if the custom role has ability to initially disable all the permissions and then enable specific permission? The best wordpress theme ever. This is pretty amazing, the transition of Divi is really impressive and i would say hats off to the team behind bringing this idea and developing such a wonderful team. Those new features sound great! Great theme, congratulations. Looks very cool, would love to try it out! Man I dont own Divi yet, but 2.5 is absolutely outta this world man, I’m keeping my fingers crossed for the giveaway. Awesome work, I mean absolutely awesome work! This is awesome again. Thank you for this update! Very, very nice… I noticed few mistakes on translations in Polish language. If you need some help in this matter I am at yours disposal. Looks like a really good release by a great team of developers. What a great surprise this morning when I opened my mail to find new goodies to play with… I can’t wait. Its always fascinating to me just how far you guys can push the envelope! WAO DIVI is the definitive theme for all my customers wordpress sites! It’so clear, so simple, and so powerfull! One theme to rule them all! Great work and thanks a lot for these amazing supporting features…!!! BEST LIST OF IMPROVEMENTS EVER!!!!! U’ve come a long way from the beggining of Divi!!! ABSOLUTELY LOVE EVERY SINGLE DETAIL OF DIVI 2.5!!! INCREDIBLE!!! Will this update to 2.5 also fix the problem that settings in the options of the Divi-panel are lost after putting a website live after developing locally? Hey Erwin, if you are experiencing a problem that is not addressed in the changelog above I’d go ahead and make a ticket for it just to be sure it gets looked at. Thanks! I can’t wait to finally start with Divi! When you try Divi, no other theme is good enough. Well done guys, are there any plans to add a folder feature to the media library within Divi or can you recommend a plugin? Good idea! Unfortunately I’m not aware of a plugin option for that. Thank you for regular updates. Really really great futures. I love Divi. WOW WOW WOW! this is not just timely perfect but just plain PERFECT!!!! omg the role editor… ahhhh should I say it again? : THE ROLE EDITOR!!! you guys are making history… With this framework you’re really changing not only the face of WP but I truly and honestly think, you’re changing the way websites are made. From concept to use, from selling to edit (by your client/end user)… Hats off and a big bow to you! WOW! Divi is becoming a platoform work more than a theme evolved . compliments! You have to invent one more thing with which wordpress in fact always struggle , an easy and intuitive way to create rollover . th ! WoW! Guys, you did an excellent job with this theme! In my opinion, this is the best and powerful theme framework. Some absolutely great new features guys. Just came across a little bug. Sliders are not showing the back ground images or colours. They are all white. Go into the slider module settings and background colour was defaulted to white. Had to change settings to transparent so the background image would show through the slider settings. Thanks for the heads up Shane. Would you mind making a ticket for this issue? Yes, and the slider is skipping around in a weird way now too, it seems it doubles the transitions of the last and first slides. I have the exact same problem with the background on the slider. The background doesn’t appears. Only my PNG logo appears while it’s supposed to overlap the background image. Great Work!!! Super cool, the best! Nick, I have a suggestion. I think it is now enough to build a business based on DIVI alone. I love E.T and have been a long time supporter, so it is great to see E.T to grow this much. But I think it is wise to separate DIVI brand from Elegant Themes since they’re both heading to a (subtly) different directions. What if you dedicate E.T as a marketplace for a pre-made WP themes and DIVI as a theme building tool? So people who don’t want the hassle of building a WP theme can get the themes directly on E.T, and those who love to tinker and build a theme can go to DIVI. And by separating E.T from DIVI you can have two revenue streams. Later designers can create beautiful WP themes with DIVI and sell them on E.T. In this way you can greatly expand your business and get high quality designers onboard. This sounds like an amazing tool. I’ve not tried the previous version but is definitely impressed and itching to try it. b. Will Divi Builder Plugin be able to add all these awesome features to the older ET themes too? I mean responsive and customizable? Yes. The Divi Builder Plugin will actually work with any WordPress theme, not just Elegant Themes. ho my god, The Divi Role Editor is so amazing ! Thanks a lot nick ! What’s the best way to migrate from Nexus tot Divi on a live blog? Clone the site to a subfolder/development server on a its own database and change the theme over there. Once you’re happy with it move the site live. As always, take backups! There is a bug in the sliders. You have to go into the slider module > individual slider > and make “background colour” transparent. Fantastic update. Love the quick rename feature! Love the new features, especially copy and paste from page to page and the role editor. This looks very good. Great job! It is really great features in this upgrade. But do we have any feature like while-label option? Like creating while-labeled version theme and install in client websites? White labeling is not a built in feature for Divi but there are a lot of plugins out there that allow you to white label any theme. Nick! You and your Team simply Rock! Thanks again for an amazing update! Wow looks really great the Divi theme..
Just fantastic. You guys make my life so easy. What an increadible speed of gamechanging improvements. The Divi theme is by far the best WordPress theme you can ever get. I have it installed on like 5 different websites with totally unique designs. Thumbs up guys. Keep up that superb work!! However, all my background images have gone where I saved them in the full width row rather than as backgrounds to each slide in the fullwidth slider. Will this be looked at as a bug fix as I am reluctant to update all my other sites as I would need to switch the backgrounds to the slides on every page? Holy Moly – I think you guys can read minds! I don’t shout out much about which features I would like to have, but seriously, you guys are on top of things!!! I am very thankful for you and your support team too btw! The option of exporting layouts is missing and importing layouts not working. Hey Quique, sorry you’re having that issue. If you make a support ticket we’ll take a look. Hey Warren, sorry you’re having that issue. Please make a ticket so we can take a look at it. I just can’t tell you how much impressed I am with these cool new features. I’d definitely love to have this theme on my site! That is good news, thanks guys, cant wait to test this out. Hi there, the “code Module” is having a hard time to show a shortcake place within. Actually it shows nothing, do you need a ticket or is something that you are already aware of? I’m not sure if that’s been submitted yet. I’d make a ticket just to be sure. Thanks! Ticket opened!, Thank you in advance. Un travail génial, Divi est bien plus qu’un thème, de plus en plus complet il devient comme une application qui optimise vraiment l’usage de wordpress. À suivre de très près. Merci à vous pour cet outils fantastique. How about updating from 2.4 to 2.5? Is dat a do-able thing without losing too much custom settings etc? I currently use Divi now and love it! This is gonna make it sooooo much better!!! This new design is really awesome. congratulations on this achievement. Love this new updates! Really need to get all my sites running on Divi now! What a great product a excellent upgrade. You always know what we need. Thank you very much! Comme le bon vin ou le fromage français, Divi est meilleur jour après jour. Il suffit de ne pas en abuser. Excellent progress! I would humbly offer some ideas. It would be great to evaluate other options for contact and subscription forms in a way that is easy to link with some of the platforms such as MailChimp, and to generate different lists of contacts, depending on the form that users complete. Thank you and congratulations for the improvements! Felicitaciones por su esfuerzo, desarrollo y excelencia. This summary makes Divi more of a framework than a theme – more than before. These changes will be absolutely loved by designers/developers. I hope that in future we could have some easy way to upload more icon fonts – their corresponding SVG files – so that there are more options within the blurb module. I know there are work arounds but it would be great to have an easy way to do this. Thanks again ET for the lovely job done on this one. I just have one question – none of my sites are yet showing the update as available. I just want to confirm that the theme updater will pick it up sooner than later or else I’ll have to simply download the theme. Any help here? Got the update just while I was talking about it. Updated it and the module with the video background stopped showing the video… oops… what’s wrong here? Uh oh, sorry you’re having that issue. If you’re noticing things that look like bugs, please submit a ticket and the team will look into it. If it is a problem on our end then the team will address it in an update. The theme updater should have it available. I’ve already updated a few of my sites that way. Divi Stopped being a theme at version 2.4, now it’s a framework and one of the best around that keeps improving. Excellent features. I really love it. Really much needed. Thanks. This theme just gets better and better. Well done! Hi, the role editor seems awesome. Is it possible to completely hide the builder on pages from users? Or is it possible to close the builder where the short codes appear in the WordPress editor? After building out the page it would be nice to close the builder and see all of the code for easy text editing plus it is easier for my clients to see the code so they can just change text. Just bought this theme for my site and I am really impressed. Hi, I’ve just seen your blog post, THIS IS THE UPDATE!!! I was probably the very first person to ask for the ROLE EDITOR and this release goes really beyond my expectations. Thank you ET !!! Thanks Nick my request (role editor) of last year came now true!!!! Beside of the other improvements in 2.5. the role editor is THE ULTIMATE TOOL !!!! Can’t wait to test the new builder on my site!!!! Question is possible to block the go back button to WP DEFAULT EDITOR when the DIVI BUILDER is activated, so client don’t loss the design from the DIVI builder? Totally in awe of features of Divi 2.5. Nothing gets better beyond a DIVI. Hola… que gran noticia! Felicitaciones desde Argentina. Hello … GREAT NEWS ! Congratulations from Argentina . If you notice a problem that is not addressed in the changelog above, go ahead and create a ticket for it so the team can address it in a future update. The role contains most of the opportunity that I can give my client the Editor. I had created a custom builder module in my child theme functions.php in 2.4 and earlier, now I get a: Fatal error: Class ‘ET_Builder_Module’ not found. Any tips on how to ensure the ET_Builder_Module class is defined in my child theme functions file? I already tried moving my custom builder module to a plugin and still got the class not found error. Has the builder class structure changed significantly? I was told that this update would not require the maintenance of a legacy Divi 2.4 branch. I had my doubts, which are now confirmed. // load builder files on front-end and on specific admin pages only. That’s includes/builder/framework.php to be more specific. and the builder element and module class structure is still the same as it was in 2.4. Hi Brian. I’d suggest checking if the class exists before using it in the child theme. Thanks for the input guys, I changed my custom module conditions according to your suggestion of just simply using class_exists() instead of copying the logic of framework.php, so I’m less likely to need to modify it on updates. I love the ability to control users’ ability to change pages ! I’ve been a huge ET follower and supporter for a long time. Became a lifetime member a few years ago. One of my client websites is ran as a one page site with a few external pages. There has been a known anchor/scroll issue using Divi as a one page site for working on two years (even though the method is still on the Divi Showcase). I love Divi and appreciate your support. This upgrade is very usefull for me. Thanks a lot. The history panel looks great! The preview, copy, undo/redo features were most useful, wish I had it earlier. Terrific new features! Congratulations on anothergreat release. hey these changes are great! I particularly like the Undo, Copy and the Collapse features, this makes my workflow much faster! A Search function when selecting a module would be nice! Thank you again for the perfect Theme for WordPress! I can’t imagine any better service than what you provide! Thank you from the bottom of my heart! This is Really Awesome ! I hope I win the giveaway! You guys, this is probably the most excited I’ve been about a WordPress theme ever! Such a good set of features. I can see each and every one of these saving me loads of time. Divi 2.5 is great and I can’t wait for all the other features that you guys will put out in the future. This giveaway is also a great idea! Great work as always Elegant Themes Team! There’s more, but these sure would be nice. Hooray for updates and improvements! Wow, you guys are awesome! This is so great – just wanted to give some love! Thanks for the outstanding work! I really love the feature where we can preview the edits instantly because I’ve wasted so much of time in editing and previewing the edits. I won’t settle until I get what I want. Another thing is you guys made it super easy for us to preview how the site looks in different device. Yes, the role limiting capability is another gift for us. Because as an active developer I know what our customers sometime do really a headache to us. Thanks you Elegant Theme for this awesome Divi 2.5. By the way, can’t wait to see what you going to give us in Divi 3.0. Awsome work guys!!! I hope I win the giveaway! Fantastic updates Nick! Beautiful to use and incredibly productive! Since I upgraded to Divi this morning when I add new items to the primary menu bar, they aren’t showing on anyone’s computer other than mine. I work in Safari when I checked the site in Firefox I could not get the new menu item to show either. But when I login and hit Save Menu then the new menu item shows. Also slideshows in Rack Storage, Marinas and Marketing Plan were not showing until I did the step above. Also on the iPhone and iPad the “hamburger menu” is not working. I have created a support ticket, but client is not real happy right now. Love seeing the constant improvements, ET team. Keep up the great work. Been using Divi since it first came out and all I can say is my clients are very happy with the sites I am producing for them, which in return makes me extremely happy. Keep up the great work on exceptional themes. Making life much easier on the production side. The copy&paste and the Disable functions are simply GREAT!! Excellent!!! I say Awesome work!!! I’m stunned. The last major update to Divi was a huge game-changing improvement to an already great theme, and this…? I really think you guys have moved the bar – the cushion, the whole track – for designer oriented themes for WordPress this time. By a lot. Thank you – Some great thought and consideration for designers has gone in to this, you can tell. Did anyone mention how amazing this is? But it bears some serious repeating. Wow! Hello Nick, impressed with you, your team and your company. It doesn’t happen a lot that I see such an inspired group of people that want to change the WP world with great designs and passion. I can also see that in the FB group, where you have some very cool guys from all over the world working with and talking about your creations. Hope all of you guys are doing well. Wishing you the best. Imprescindível para meu trabalho diário de web design. Most totally impressive theme features and updates! You guys did an awesome job! Nice update! Lots of useful new options. Is it just me, or does the right-click context menu disappear behind the left-hand wordpress menu? This is very impressive. I am truly in awe. You knew exactly what I wanted and needed! I love Divi. And the few frustrations I’ve had–especially accidentally deleting a module after spending a half hour creating it–are going to be gone now. Very pleased. Currently evaluating switching over to Divi. I would love to redo my sites and help others with theirs too 🙂 Looks like a great product. Love the preview! Just another feature that makes me feel like a legit designer. Thank you! I can’t belive that you we’re able to stuff such functionality into a theme. Amazing work! Great job for this version! I’m looking forward to see the Module Control Responsive, so I could change layout of divi or add elements on my smart phone. I’ve pretty much given up on any other theme. Divi makes my work much easier and faster, and makes me look good in front of clients. Divi 2.5 is going to make things even better. Well done, ET team. Only one comment: you are very good and my congratulations also to your service ticket. Awsome! Keeps getting better every time. I can’t wait to take advantage of these improvements on Divi since I’m building both all my own sites and my client’s sites with this amazing theme. I´m glad of the new Divi 2.5 – it helps to get a faster result in a more professional way – its that simple. Brilliant for freelancers – time to get used to the new shortcuts. Having just accidentally deleted some content after spending ages building it, I’m really please to see the undo/redo feature. copy/pasting modules is going to be awesome too. Actually looking forward to a theme upgrade! Wow. These features makes Divi the only theme we need. Already started recommending Divi for my clients. Also Divi becomes a one stop theme solution for Multisites. Awesome stuff! I have a dozen sites to upgrade now LOL. I can’t wait for the DIVI Editor plugin to come out so I can use the power of DIVI with other themes. Excellent stuff! I guess that will be all what’s missing in a previous Divi 🙂 Excellent! Very Impressive! I’m sure that Divi is so advanced now, that it could probably pour me a cup of coffee by pushing a single button. What is amazing, is that I still don’t have a simple idiot proof button or method to adjust my fullwidth slider “height”. I think the code module got broken along the way, it keeps encoding html on me and breaking it (surveygizmo embeds). Change all the single quotes (‘ ‘) to double quotes (” “). We can help about your issue here: https://www.elegantthemes.com/forum/viewforum.php?f=187 please submit a ticket. It’s realy cool, i realy want to use it !! Divi is the best theme. Thank you for this work ! It’s really great to have the access control to the theme. Stumbled upon this theme – time to try it out! Hi it looks like the contact form module is now broken also. The validation always fails and it does not submit. Just a though… I see that you have an email optin module already designed and fully functional. It connect well with Mailchimp, Aweber and FeedBurner. Would it be possible for you to add other integrations.. just like the ones you have with Bloom. That way you solve two problems..
2. And… it could also be added to the landing page [blank page template] with out messing up the design and save us the money spent on adding a forms plugin like gravity forms. Sure you could hack some more in, but with the Bloom plugin how necessary is the need?? Excellent update to an already solid Template, keep up the good work guys. Wow these are amazing and great new features. Great features in Divi 2.5! Keep it up. I am loving all the new updates. Can’t wait to take divi 2.5 for a spin! Thanks Elegant Themes! Stunned. And feeling well cared-for. The Divi team has cornered the WP theme and plugin market – not to mention customer service – on creativity, passion and excellence. My gratitude to all! Seriously awesome work. I really love the pace of progress. You folks are working hard over there! I am so excited about all the new updates! I think one of my favorite new features is the copy and paste function. Looking good guys! Keep the improvements coming! These updates are awesome & make this them a worthwhile investment. Sadly the update has wiped out my blog, so that is the only fly in the ointment at this stage. Hey Scott, sorry to hear that happened to you. That definitely shouldn’t happen as a result of updating your theme as no blog post files are updated or replaced when you alter a theme. However, if you feel this is specifically because of Divi I would encourage you to make a ticket and/or post in the support forums and see if we can get you straightened out. Nothing to say … this is why ET is my choice of templates and support and divi is really the best I’ve ever seen. Great and thanks. Yes, Divi 2.5 is my entry! A good work needs good tools! Great to see that now the handling of the Theme and the single posts/patge will be much faster. Great work! Nice updates… Divi has majority of things now. I would like to see parallax for video backgrounds.Something that is too laggy with vc too.I moved to divi because its lightweight and clean.Would love to see more predefined elements added. Thank you! It’s a great template, but I can not do anything from the home page. It publishes all my records as a blog, duplicate my notes on other pages, the sidebar is that I do not need on the home page, how to remove it? The E-panel is also no configured the home page. It does not appear in WP pages, so it impossible to configure as a whole. I’m new to this business. I’m upset that divi doesn’t have styling options or mobile and tablet as it does for desktop. Very frustrating that you have to do custom css for mobile styling. Great… Divi is much better now. Wow! I’m not a divi user (yet) but it seems that I will be soon! Looks like divi is one of the best multi-purpose themes out there! Are you considering fixing the dependency on shortcodes? My biggest fear is that my client will suddenly decide she likes a different template and will know that “WordPress makes it easy to switch templates on the fly”, only to be disappointed when I say that I have to completely rework the content manually into a new template. Thanks. In the article you pointed me to it wasn’t clear to me whether the Divi Plugin dependency would be “forever” or just until you switched the content over to a new theme. In other words, once the switchover to a new theme is done, can I delete the Divi Plugin? You would have to keep the plugin activated if you want the pages created with the Builder to retain the layout and style applied by the builder. Of course, you could always use the plugin while gradually migrating your pages away from it and then remove it once you are done. Cheers! SORRY GUYS … the TRANSLATION of DIVI 2.5 into GERMAN is AWEFUL!!! I have to swith to ENGLISH to understand the CONTROLS, ELEMENTS etc. of DIVI 2.5 … WER HAT DAS BITTESCHÖN VERBROCHEN??? If you need help localize DIVI into German, French & Italian: ASK, PLEASE! I like the blog module. Can you display blogs alphabetically or does it only sort by date? We use blogs a little differently on our website. I feel that with every update of the template becomes less clearly arranged . Or is it just a matter of habit . Many steps in the right direction. Great product, and it’s being honed even sharper in collaboration with it’s user base. A recommendable tool for sure. Divi 2.5 have great features that I am looking for. I am a big fan of Divi, and use it for 3 of my own sites. Happy to read about the terrific new features in Divi 2.5! Thanks, really like the Undo/Redo. These are some amazing updates and ones that will be very beneficial. Especially Live Preview and being able to disable modules from showing on the front-end. I actually just implement a Labor Sale Module on the front page and this will be great that I can now just disable with have to Save to the Library, remove and add everytime. In addition to that a suggestion would be to have an option for modules to have time expiry. That way you don’t have to manual deactivate or remove them. They would disappear after a certain time. Themes on Envato that feature Page Builders have these options. Although I have to give it to ET for creating one of the best UI and UX page builders I’ve seen. I also hope the Font Awesome icon bugs were fixed from freezing up the module after using some of the dark versions. Thanks guys!! Oh BOY! I’d love to win this upgrade! And by the way, Divi 2.5 is looking mint! Divi 2.5 is the best that has happened this year with WordPress! Looks very good, looking forward to trying it out! Love the new update features. Looking forward to trying them out. One of the fastest growing framework for WordPress. Make sure it is not get bloated. Amazing Update. You guys are incredible! Yes features to prevent clients breaking their own website! SO impressed that you spent the holiday weekend stamping out bugs and releasing updates! Up to version 2.5.3 now–getting better and better! Excellent theme and excellent upgrades. I really appreciate the permissions for clients, and so do my clients! A lot of them become nervous if they make a change or enter a blog entry, that they could “mess something up”. This is great, love the features. Can’t wait to see it in action. My site was made on an earlier version of Divi. Can’t wait to see what more I can do with this new version! Love this! And we all love divi! Divi 2.5 could very well be the go-to theme for me. Wow! Wow! Wow! I can’t believe I overlooked this release. Some of these features I swear you read my mind, especially those around locking down modules and permissions. Amazing! Can’t wait to get into this. Thank you. I can’t wait to try out the newest version of divi! 2.5 Looooking Awesome! Love Divi. Looks amazing. I have a feeling this could become the basis for all new and upgrading sites. Exciting times. I’m a simple man, I read a misleading newsletter I press unsubscribe. I have just launched my third Divi site…. my clients could not be more thrilled! I’m now using it on nearly all my client’s sites – it is so adaptable and friendly. Have a issue with paragraphs being dropped when going in to edit existing pages, though. Will do more testing to see if I can work out why. Divi 2.5 has some great new features! The role editor is especially helpful. I look forward to trying it out. I like this theme I think it is better than x|the theme! 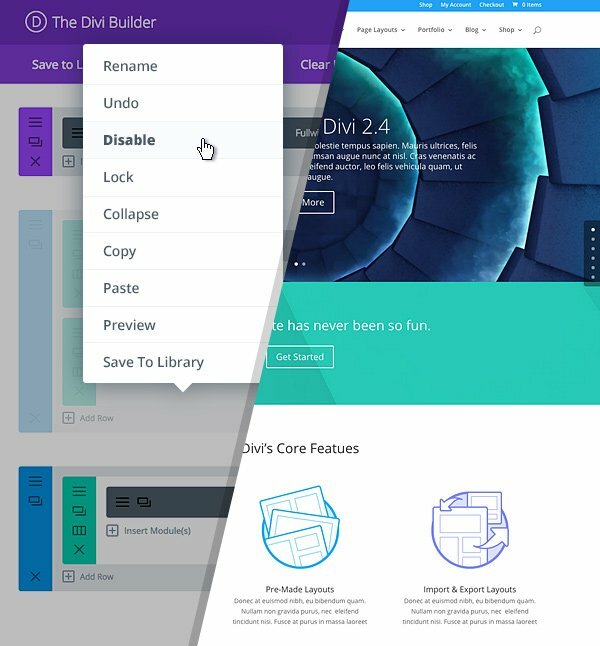 As a long time user of Headway, and a custom themes designer for our client base, I’m looking forward to trying Divi 2.5 – it seems to have some very cool features which may make the custom development of WP sites even easier. I’m glad I can hand off a site to a client and they can’t mess it up. Excellent work… Extra will be worth the wait! Amazing theme. Can’t wait to get my paws on this one. Wow! This looks impressive! Definitely going to try this on a future project. Normally, we prefer to build or modify css and code for a WordPress theme, but Divi 2.5 addresses nearly all of the issues we would be concerned about when using it to build out a client’s website. Nice! I’m really excited about these new changes in the Divi 2.5 upgrade!!! Thank you so much for making it even easier to build a great website! We are redesigning our site and I can’t wait to use Divi 2.5!! It looks very simple and I can even train non-techie clients how to use it!! Simply amazing!! Nice. I wonder how using Divi will affect site performance especially with multiple custom posts objects. I’m pleased with how often you’ve been updating Divi. Thanks. I love the ease the new features bring…….So much easier to understand and design to fit any number of client sites. This new update will make my site much better. I love DIVI!!!! Can’t wait to see this new version …. I am so tempted to just get another membership to get Divi 2.5. Divi has been an awesome theme to work with. I admit that I haven’t yet activated a lot of its new features, but I am still learning a lot and this theme has been amazing for me as an amateur designer/developer! I have loved Divi since inception, now it’s even better and my clients are loving it too. Wow the interface looks cool and the features are amazing. YES to High Level Theme Settings!! Awesome like always!! Divi is the greatest! Currently building my website and Divi 2.5 has everything I want and need…and more! Divi keeps getting better and better. Love the flexibility. I’m loving Divi! Excited for the new updates! I have a colleague that uses Divi. I would love to be able to incorporate it in my own site! The layout control and easy-to-use settings and features blow away anything else I have seen! Whoa! Divi 2.5 looks sick! Great template! Hope to win. Great resource and great prize! Divi has become my go to with so many possibilities, I can use it for nearly all my clients and it’s never the same. Love what you’ve done with 2.5, it’s like you’ve been reading my mind with the undos and library! Thanks. I’d love to use Divi for my next project. The new release looks awesome. I look forward to seeing our this will work with our new website. Very Elegant, indeed. I divi 2 win! The collapse feature is great. so we wouldn’t need to expand it to see what it was. Instead of some post about how great Divi is (and it is), I’ll just be honest and say I’m commenting to get another entry in the contest. Wow what amazing site builder it is. I can’t wait to play with it and build lots of authority website. Divi 2.5 looks like an amazing updated! Divi feature look very promising indeed! Divi is absolutely the best! and you can count on it to work! I wasn’t sure if Elegant Themes could improve Divi, but they have. By leaps and bounds. Really looking forward to hitting the upgrade on my site and finishing it this weekend, thanks all! I would love to play around with this. I’m always looking for tools to make building custom wordpress sites for clients faster! Since I have started using Divi, I have started designing more than just my own personal blog and graphic design site, I have been able to charge for setting up and designing sites! Thank you Elegant Themes!! I love elegantthemes and Divi 2.5 is an amazing upgrade! Looks amazing, keep up the good work guys! I haven’t installed Divi yet, but will be getting right on that RSN! Looks like a great tool. I’d like to see the different things I could build with it. that’s pretty cool! i just might have to make the switch. Divi 2.5 is amazing! The improvements to this theme make it a great value. So cool. Favorite feature is live preview. Any plans to make a membership plugin??? I’m excited to see how the updates work. Thanks! Hmmm… interesting! I’m looking forward to exploring it myself for my website if given the chance. Divi 2.4 is what led me from Joomla! to WordPress. Divi 2.5 could be what converts me completely! I’m thrilled by the copy and paste feature added to the page builder. Divi is always ahead! I chose Divi to build my first website when I had no idea what I was doing. All I did know was that of everything I researched- it had to be Divi! Starting from ground zero, at first I was afraid of Divi. But now? I have fallen in love with it! I am SO GLAD that I chose what has now become the number one favorite among web builders! Of all the many amazing features of Divi- the best one of all is that it just keeps getting better and better! I wouldn’t trade my Divi for the crown jewels! Thank you, Nick! Chive on!!! God Bless You All At Divi!!! 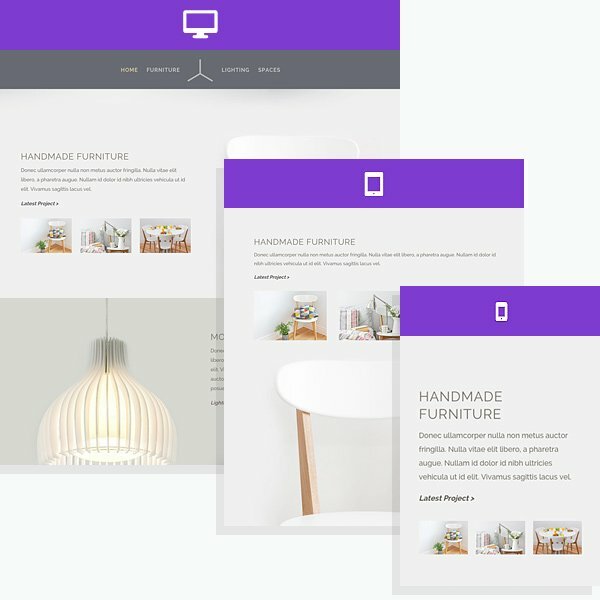 Divi looks like a great theme for website and business owners. I’ve been keeeping an eye on it and its updates and I want to avail it in the future. However I have decided not to purchase it yet since I am just starting out blogging and might not be able to utilize its full potential. live editor! You guys read my mind again! I hope I win. The preview looks good. Another awesome update from elegant themes! I’ve only just found out about Divi as my daughter started using it recently for a new job. Looks awesome, I’m going to have to start using it myself. Really cool improvement! However, do you have plans in the next future to improve the front end (features to make a more appealing web site design)? Since, as far as I can see, all these changes are made basically for the back end. Elegant Themes and Divi are continually pushing the envelope to create the best user experience possible and provide the best platform for freedom in creating/designing websites. Thank you! So excited to see the changes! Well done! Wow. A bunch of new and useful features (particularly liking the ENTER and ESC key support) and a ton of fixes. Lovin’ it. Hope to get one of the giveaway copies. Next website will be divi website! Great work! The new Divi looks amazing! One of my clients uses the original Divi. So excited about this giveaway. This looks really nice. I’m looking forward to trying it out. This looks like an awesome highly customizable theme I’ve been looking for!! ET – Y’all are killing it! Keep up the great work! I am so crazy excited over this theme! I heard about it from a graphics design blogger and got on your email list this morning! I am in the midst of choosing a theme for my social media training business… and I can’t wait to tell all my pinterest followers on my Website & WordPress board NOW about @elegantthemes! You rock! I’ve been thinking of buying Divi for some time. It was already amazing, but these features put it over the top! I can’t wait to switch my site over to this!!! So loving the idea of right clicks! Hey ! I love this theme but don’t have enough money to buy. I received a mail saying today is the last day to enter in 10 giveaways for this theme. It was told to scroll down to bottom to enter this giveaway. but there is nothing in the bottom to click or open. what should i do? Love how sites created with Divi *always* look polished & pro! Why did the counter shoot up to 27 hours from like 4 ive been watching it like a hawk LOLOLOL! The Divi Theme is THE best WordPress theme available. The new features and enhancements continues to signal the dedication of the Elegant Themes team to supporting their customers! Wow! Impressive shifts and changes are afoot! Thanks very much to the developers’ listening skills and creativity! Huge fan! Love the new features! So many of the upgrades address speeding up the work flow. I can’t wait to try these out! I’m a little skittish since the 2.4 upgrade experience, but I trust you’ve considered that also. Looking for a new theme and have been learning about DIVI. JUST today had a conversation with a peer who HIGHLY recommends this theme for my new website – their site, built on the DIVI platform, is #awesomesauce! Looking forward to winning an upgrade as a long time member. Divi 2.5? YABBA DABBA DO!! This is great…..Divi will make me look like the pro that I am not! It would be great to win, I need to build a site to pull together all my blogs and as a home base for all my things around the interwebs. Divi 2.5 looks excellent! I might have to switch again … currently building in Avada. You guys have come a long way and here it is!!!! Amazing work! I love WP more and more and especially you guys who go beyond the limitations. Stunning! Brilliant! Very Nice Theme for developers like me! Been using your themes for years and they just keep getting better, keep up the good work. So many cool things you can do with Divi!! I love the live preview feature. Just started using wordpress and Divi, definitely loving it! It’s just fun to work with divi! And the new features makes even more comfortable!!! You have been the best thing since sliced bread. I could not image life withoutyou. I am a digital designer and without you, these words would not be possible. You are the theme to my website, the function to my script, the colour to my rainbow. Thank you divi for making working worth while! !!! i use divi for almost all of my clients’ projects. It helps me create a great site since 2012 and i love what’s new on every update. – is not making my life easy. – Since wp4.3 + divi2.5.1 2 big updates i experienced broken child and very very slow loading. i can’t wait to integrate divi 2.5’s new features into my blog. The undo/redo feature will really come in handy. I’m still in the process of creating my website and am also starting one for a friend. These new features will be super helpful. Can’t wait to get back to it in the morning. Wooow! This is really awesome. Divi 2.5 looks great. Thank you elegant themes for the free giveaway. Super productive additions. Great work. Divi continues to grow – I love it. I have been ET for several years, this past year started switching all my personal and client sites to Divi. While there have been some gaps, i have been happy with the new platform. But with this nes announcement, it’s like you are a mindreader Nick. As I was reading through the list of updates you addressed my needs and more. Thanks for creating a platform that makes my client sites look good! Love Divi even more! I’m new to WordPress development and Divi is making it easy. Thank you so much! A nice theme with great support! Hope to win. I’m a wordpress developer. I make premium wordpress themes. I know Divi because I used it for clients when I was just a freelance. I really love the live preview. Nick, this is a masterpiece…kudus! ¡Fantastic! This theme was amazing from the very beginning, and it keeps on growing. I’m looking forward to test it! What an amazing upgrade! Love Divi! I really wanna try this new developing platform, seems so full of features, complete and flexible! You can do whatever you want! Great work. I’m really looking forward to using the preview functions as that will be a huge timesaver. I already love Divi, so this is all pretty exciting for me. Yeah, I’m such a geek! Divi 2.5 looks pretty awesome! I’m looking to completely redo our website with a focus on member community groups. After much searching I narrowed down my favorite customizable theme choices to Divi and a certain other popular theme package with a one-letter name. (I’m sure you know which.) Would love to get a free Divi membership to try it out, since we can only invest time and money in one theme package. Divi’s 2.5 upgrades look nice, and I love the user-friendly interface. The best theme builder just keeps getting better! Divi just keeps getting better and better. Awesome update news as always! Great new features !!. I’m looking forward to trying them. I’m with Divi from its beginnings and from the beginning this was a great them! The recent new added features made my life a bit easier while buildin awesome themes with Elegant Themes. Looking forward to using these exciting new features while setting up my sites! Even a non-techie person like me can manage to build/design a website with this theme. Thanks Elegant Themes. I wish to have this great updated theme! Divi 2.5 is really awesome. Looks brilliant! Can’t wait to try it. Divi is great – would like to take a ride!!! Just the Live Preview feature is going to save sooo much time. One of the best themes ever! As I read through the list of features my jaw kept dropping lower and lower! This looks incredible! I truly am impressed by what you’ve done with Divi. Keep it up! Really excited to check this out. Amazing work guys! Divi is absolute must have for all WP blogers! Looks really usefull. Will try it out! This looks like a hefty update to one of the best themes out there. Incredible work. Can’t wait to explore the new Divi – Divi is great! Thumbs up for all the new features, but the undo feature is really the best one. Love divi, thanks for all the epic work you guys have and continue to put into this theme. I help client dreams come true. I support their vision using Divi and the new features is creating more smiles and happiness for us all. Thank you! Using Nexus on my photoblog at the moment – but love Divi! The Divi 2.4 theme for WordPress is great but the newly released Divi 2.5 is stupendous! I’ve used Divi for about 1 year, very good work from ET team, thanx ! I’m absolutely loving the new Divi 2.5 I don’t think I will need another theme ever! Especially the undo and redo function and the live-preview boosts my workflow! Thanks from Germany! Divi has made creating websites fast and efficient. I love the intuitive UI and now it’s even better! Divi 2.5 is on top of my list of potential themes I would use for my next project. Number of options you offer is just overwhelming. Seems promising upgraded features, Im still hoping DIVI will become live drag and drop by next year! I just started using Divi recently but I absolutely love it already! Looks really good. I´d love to try it! Hi guys. Thanks for another brilliant update. This theme just keeps getting better! Congrats. I have been looking for a superior WYSIWYG / Drag n Drop Theme with the power to make real differences to my sites. It appears that Divi2.5 with the front end preview in the different size layouts is about as good as a WordPress Theme can get. The depth of what a site can become is virtually endless and that makes me really think Divi2.5 is the foreseeable future and will attempt to be emulated by many. Elegant Themes definitely has a WordPress Powerhouse in Divi2.5. Divi 2.5 rocked. Features are awesome and i really liked it. Wishing to know more also i will suggest Divi 2.5 to my all clients. We have used this theme extensively. The new features make it even better! Thank you for this great theme. Stuck on Divi for my sites! Wow! I can’t believe all of the features this release is going to have. Great work! Divi is an excellent product – looking forward to using the update. Ready for the membership 😉 Thanks for your great templates! This looks like really powerful tool! Thanks for your work! Sophisticated and simplistic in the same package, can’t get better than that! For me, Divi is the best wordpress theme ever, actually it´s not just a theme, but a powerful tool to develop websites using wordpress as background! Thanks to all developers and entrepreneurs who has helped and idealized this tool. This is so exciting! Great new features combined with the best support team on earth. I can’t wait to experience divi 2.5! Also the addition of a right-click menu on modules is another big positive! Awesome idea — great addition (will get used a lot I’m sure). What others said about a slider will be a good addition for a future version. Also — just thought of this — how much control do we have regarding width of modules where several appear side-by-side? Pixel or percentage based width settings would be very useful — and settings for padding width, which was an issue for myself and others in the past. Haven’t built or modified anything in divi for some time now — mainly due to the difficulties in the previous paragraph (just couldn’t get it to look the way we wanted it) … but with those width controls added — I’d be back for more! PS. Specific example: suppose I want to include a spot for a 300x250px ad … I was previously unable to create a space for that size … Was also unable to reduce the width of padding around/between modules, without resorting to custom CSS — and even then it did not work consistently. I’ve love your energy, direction, commitment and focus, Nick and E.T. team. Thanks for continually improving such an awesome product. I’m looking forward to building great websites with it! I use Divi already, and this version is awesome! Amazing! I am floored!!! I stepped away from Word Press and Divi for a bit after the Divi 2 upgrade to wait for some fixes and upgrades, and wow!, just wowowowowowowow!!! Thank you! Definitely going to give this a try. I’m typically anti inserting tons of short codes to accomplish WP task for ease in transistioning to different themes. I’m excited for the separate plugin I’ve read about. I hope it includes a deactivation hook for rendering the html out to the DB instead of leaving behind short codes that don’t render. Another great update, yet some deal breakers still exist. We need a simple way to remove the elegant theme footer credit and a simple way to separate the logo from the nav so that colored nav bars are possible without coloring the entire header. Have always loved the Divi theme, now more reasons to love! Loved divi to begin with especially the simple clean design. Now easier to use? We are a match made forever. Great theme, great team. Thank you. I am looking forward to use this on my new website. I’ve seen many beautiful websites built on Divi. I’ve been working on mine. Thanks for the latest update. I thought Divi couldn’t get any better, but it seems like I was wrong. Best! I use Divi for a group that I’m in and I love the theme. Easy to use and very attractive. uma excelente plataforma para se apaixonar!! Nick, love the undo/redo! Keep up the good work! The new user editor feature is brilliant!! I think I’ve fallen in love. I really like this theme and can’t wait to use it. ¡Excelente estrategia y excelente producto! Great work on this Nick! Good job man and I look forward to using this! Love the updates and changes. Grabbed a cup of coffee and went through each one. Can’t wiait to experiment on the Divi version I own now! Thanks, Nick! Look forward to the new features. We use Divi for our community site — it’s a WP Multisite (which Divi works spectacularly on, btw) and that means we have lots of sites with lots of site managers with varying WP skills. I like that we can help them not to worry about breaking their site by setting the permissions and turning off the things they don’t know how to do — or shouldn’t be doing… like changing the university’s branded colors and logo! Divi makes my work life easier. And keeps my boss quite happy! It seems DIVI is not just the ultimate WordPress Theme, but the only one you will ever need. Great work! Amazing! Can’t wait to try it! This is so awesome! It sure makes building a website so much easier. I can just imagine the time I can save with the new Divi 2.5! Overall my experience with elegant themes is super! Divi Theme is growing better and better (it was great from the beginning)….I am just going to find out now, as I start working on my website, what I’ve read in the blog….yeah! This is already my go-to theme for development, and I am SO excited about the new features… yay!! I <3 ET! Yeah ! Love your themes and concept. Thank You, Can’t wait to try it. At first, I had actually fallen in love with Elegant Themes’ Nexus Theme but after figuring out how versatile DIV is, I’m definately using it for my upcoming project. I shall post the site here as soon as it up in the next few days. This theme is dope 🙂 Great work by Elegant Team. This is awesome, the next thing that you could do would be to make an app that connects with your divi site so that you could do some editing on the go! Loving the future of WordPress- more and more customization options! Great update from the previous version! Great way to wring out and add power to WP. Thanks folks! I use Divi and am upgrading today! It’s tremendous what you have done with Divi so far. I can only imagine how ground-breaking it’s going to become as you continue with your developments. I have been disappointed since Divi first arrived and it continues robe my goto theme for any site I’m building. Thx guys. The divi2 was well ahead of other themes. The Divi2.5 is adding icing to the cake. Sounds like some great improvements and new features. Can’t wait to test them out. While it’s a relatively simple thing, I’m digging the new right-click controls like copy/paste…my favorite being Preview. Working on a new site in Divi, and look forward to converting my existing site in the not too distant future. I’m excited about the new version however I have been so frustrated with the difficulty, I only wish there was an “on-line chat”? to actually be able to come into my computer and help me when I get stuck. Great features. All the feature will sure be help blogger or a webmaster to manage there website, for newbies and professionals. This update is a game-changer when it comes to using Divi for a site that clients edit themselves. That’s a damn good looking theme and very easy to use! Great work! New to web design and wordpress. Been a java developer for travel sites for years. Looking to get a good side business going. Thank you for making my favorite theme ever even better!!!!! I’ve just started remodeling my website using Divi theme. Be sure to enter your site redesign in the coming Divi Site Makeover segment on our Divi Nation Podcast. I hope I win I’m so excited! Really liked working with the previous versions–easy to manage and beautiful results. Looking forward in particular to the improved roles (will help one client’s editorial workflow in particular), and the undos (the only thing I missed from ordinary editor window). The changes in Divi 2.5 look awesome! Thanks for the chance..and let me win pleeeeeeeeeaaaaaseeee . I can’t say more… Ah.. I can.. Good job! I mean.. this is the one of the best WP theme. Just when I think Divi can’t get any better, you keep adding perfect features before I can even think to ask for them! 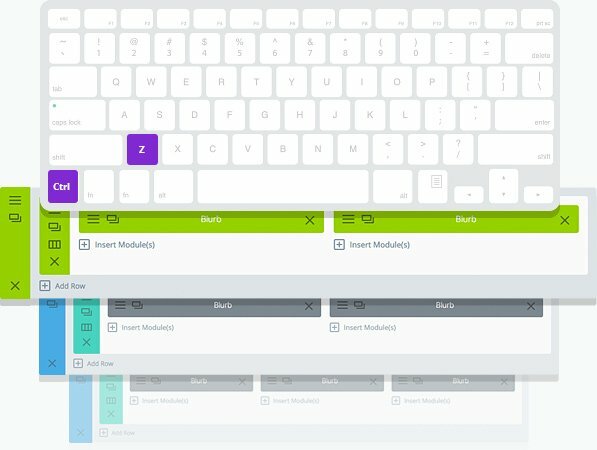 As a designer, hotkeys are second nature to me, so awesome! And copy + paste… will be using that a ton! I am constantly impressed with the high quality of your code and unbeatable Elegant community support. You are all brilliant. Thank you so much for all you do!! I am a beginner in web design but I really think Divi is the best solutions for a web desdigner, be it beginner or advanced. I want to try this wonderful template but I am waiting for a special price. I am using Divi in several websites and we all love it here in Marcomtec. Congrats guys! Great theme! They look amazing. Currently I’m trying to grasp all the options that Divi is offering. Congratz and thanks for all this stuff! Looking forward to using the new features and having a play around with the new updates. I think this looks awesome but I am confused on the payment it says no fees for the 239.00 yearly package and the other packages say yearly fees what are those? Yay! I’m about to get started with revamping my website using Divi. Sounds great, can’t wait to try! Great work Nick. It just keeps getting better. Awesome! I’ve been thinking that I need to renew my membership so I can keep getting updates to Divi, and this would be a great way to have that happen! I think Divi has revolutionized how Themes are going to be made from now on. I love that I can change the whole look and layout of my site without having to switch themes, and it’s all so streamlined that I don’t have to spend a lot of time messing with it! Devoted Divi fan over here! Thank you for continuing to make an easy-to-use, versatile, quality product. Every time someone asks about my site, I make sure to send them your way. Love you guys! I have just started using Divi to build a website for a friend and I LOVE IT! I use Divi on the majority of new sites these days, as I can be certain of a streamlined and easy process, quick development time and happy clients. Keep up the great work. Good work Divi Team! I have been using 2.5 since it updated and it’s been solid as a rock. Looking forward to the need release! Looking forward to using this incredible piece of software. Thank you so much for all of your hard work….!!! Looks like lots of great new features!!! I would love an Elegant Themes membership! I will use the new Divi 2.5 to build a new website for my freelance business. I am transitioning from graphic design and large format printing to design and WordPress Dev. The new Divi 2.5 will be a perfect vehicle to develop both my own site and client sites. Fingers crossed! Used Divi lots of time, one of the best wordpress themes around. I love Divi – I use it for all of my 70+ websites. The best in the business! I am LOVING this new theme!! The features on 2.5 are amazing and will make creating beautiful, functional WordPress sites so easy… even I could do it!! Looks like fun! Can’t wait to try it! Great work. Divi just keeps getting better. Can’t wait to test drive 2.5! Hey Randall, it’s really hard to say how easy or difficult it will be to switch from one theme to another (in terms of how it will affect your existing content) because there are so many potential variables. The big one to watch out for in terms of content would be blog post width as that would affect any full width images you may have used in your posts. I can say, however, that Divi plays well with Adsense–so you shouldn’t have any issues on that front. Your best bet over-all would be to make the switch in a cloned/staging environment first and submit tickets to our support team for any issues you encounter. Once you’re completely squared away and have everything looking the way you want then you can put your staging site live. As a new Divi user from several weeks, I am very impressed by the quality of the theme. The fluidity of the builder is impressive and everything is easy to find and to understand. It’s very easy for clients. Is there a way to use a completely different font, such as Sansation, without having to resort to defining the font in a child theme? Also, when will you make it so that when I try to select a font in a Divi block I can see what the font looks like within the dropdown rather than having to try each one individually or printing out a “key” to what they look like? one word : A M A Z I N G ! I’m trying to determine what Elegant Themes plugins would be needed if I used the Divi theme. I’m thinking the Anticipate, Drag and Drop Builder and HandHeld Mobile plugins are not needed with the theme capabilities? Correct. I’d say the essential plugins to pair with Divi are Monarch and Bloom. Excellent and convenient features, thanks! Hi there, maybe i dident see the right comment but im running 2.4.2 and i dont get the update message.. do i need to do the update manualy? Realy looking forward to use 2.5! You guys do great work! If for some reason you do not see the latest version of Divi available through your WordPress admin after refreshing, you can always login here and download the latest version from the member’s area. Sorry you’re having that problem einal. If you create a ticket in the support forums we can take a look. Hi, I’ve got exactly the same problem as einal. With Divi theme 2.5, I chose the module “Portfolio”, but whether it’s fullwidth or grid, there are no categorys that I can chose. So I cannot display any post. Thank you for giving a hint or a link! I am very impressed by the quality and features of the theme. Looking forward to using this amazing theme. I have used Divi 2.4 for a website that is looking fine! Except, on mobile devices, it seems to not open the pages fully. I cleared the cache on mobile device and the pages opened fully, but anytime I re-load, the page does not open fully again. This is a major issue for me as almost 90% of my visitors use mobile devices to visit my website! Has this issue been fixed in Divi 2.5? You may want to check for posts on this in the forum. If it hasn’t been reported and you’re still having the issue you can make new ticket so we can help you out with that. Damn guys! You beat me to it! I was half way through my divi role editor plugin. I have installed the 2.5 update and nice job! Have a question: slider to set the background video with sound. When you leave the slider to another page, or scroll through, or leave the site in another window, the sound continues. How do I get the sound turned off, when the slider is closed. Great update. Amazing job. Love the new undo feature. Great job guys! I love it. One feature I totally love is the instant preview. Hoping that one day in the future you will roll out a totally live design. Similar to wix. Some focus on the site measurement and performance on the website i.e. being able to add event tracking to CTA buttons, link clicks. Split testing content and different pages etc. This would make it the ultimate theme. Also, including a couple more divi builder template layout options that were showcased on the announcement (Divi 2.4) would also be quite useful. Is it possible to use Page builder for front-end customizations ? I want my customer change their pages without accessing at the back-end on the site ? If yes : how ? If no : when (for which version) this feature should be implemented ? hello. If I buy divi 2.5, is it necessary to buy handheld plugin? to have a more beautiful mobile layout? No, buying a mobile site plugin is not necessary. Divi is fully responsive and will adjust to screen size. In the downloads section of your member’s area you can view the full changelog at any time. Just a quickie, in a new product , the divi product settings – page layout will not let me change it to the left side even though the options are there. I change it to the left and update and it sets it back to the right! It’s causing me a headache as my whole shop is on the left. Did you find a resolution for this? I am having the same problem since updating. Guys, how I can add disqus to project page, like into post page ? Hey Vladimir, make sure you have checked your settings under Settings > Discussion and in the comments meta boxes on your individual project pages. But I found another solution. Nevermind ! I find solution. Hey Team, with Divi 2.5 can you make digital courses on it like the New Kajabi? Or will the happen in Divi 3.0? I need something simple, easy and quick (I’m not a techi-chick). If anyone is using Divi for a membership site as an online course…I’d love to know or better yet see it? I’m loving Divi … it just gets better with each release! One question that I can’t seem to find an answer to is this: what is the new Portfolio tab on the dashboard all about (between Comments and Projects)? I know how to build projects and call them into portfolios on pages, but I don’t get what this new tab/functionality is for. I am loving Divi! Just getting to grips with it and have a question about this version. I am trying to hide header/navigation until the user scrolls down past a full width section/row. However, when I go to Theme Customizer>Header & Navigation>Header Format, I see no option for HIDE NAVIGATION UNTIL SCROLL as I have seen in screen shots. The only option I have is ENABLE VERTICAL NAVIGATION. Any ideas? I imagine I am in the wrong place or have dome something wrong (!!! ), so would appreciate any help. How do you access the new ‘right-click’ menu divi builder functions on an iPad? Does the Divi builder now allow to set up a semi-transparent overlay over background images or videos? I have seen innumerable requests to either get rid of or change the footer links that Elegant Themes has in the Divi footer. These requests have been ignored for years! Part of being successful in business and continuing to grow is listening to your customer’s requests. I can understand why you might want to have links in the footer as it may help your SEO efforts and bring you a few “prospects” IF they click on that link. But you have paying “customers” asking to have the ability to remove or change them and still nothing changes!?! This creates bad press for Elegant Themes – when granting the requests of customers would create positive (think social media) press for you. As a web developer, I’ve moved many sites off of Elegant themes to a competitor of yours due to the unresponsiveness you show to your customers (known as poor support). Why not let everyone celebrate your “new” Divi theme by fixing a problem identified long ago and up ’til now ignored? It’s a very quick fix on your part and would go a long way toward creating good will (and press)! I’ve been using only the Divi theme since I joined Elegant Themes. The first version of Divi did everything I could ask for but It just keeps getting better and better. I can’t wait to see Divi 3.0. At the rate the improvements are coming it probably won’t be long. You guys must dream about Themes when you sleep, but I wouldn’t be surprised to learn you don’t sleep. hii, i have DiviVersion: 2.4.6.1 now. can i upgrade my divi to the new one? Very interesting , guys . Is Divi builder is now possible to set up a semi- transparent overlay on top of the background image or video ?